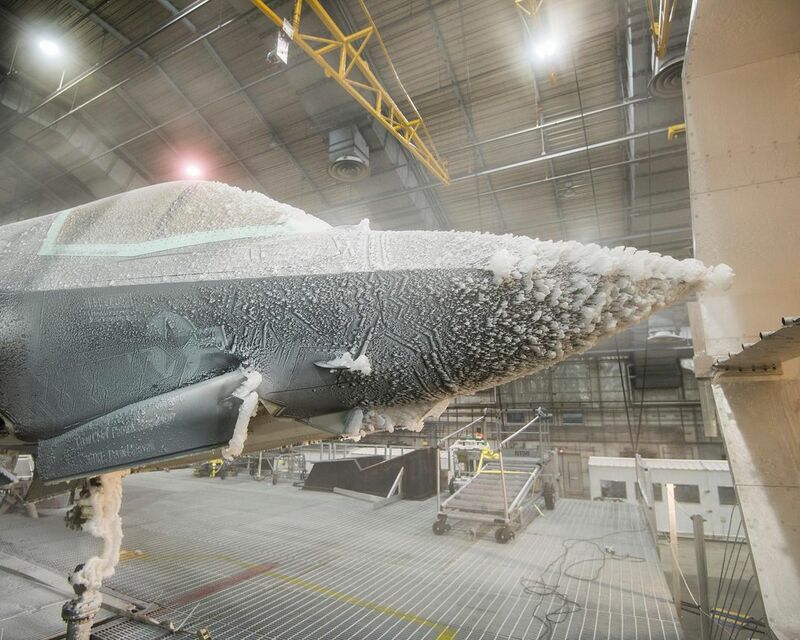 Lockheed’s Lightning II undergoes climate testing to prove it can fly under any conditions. 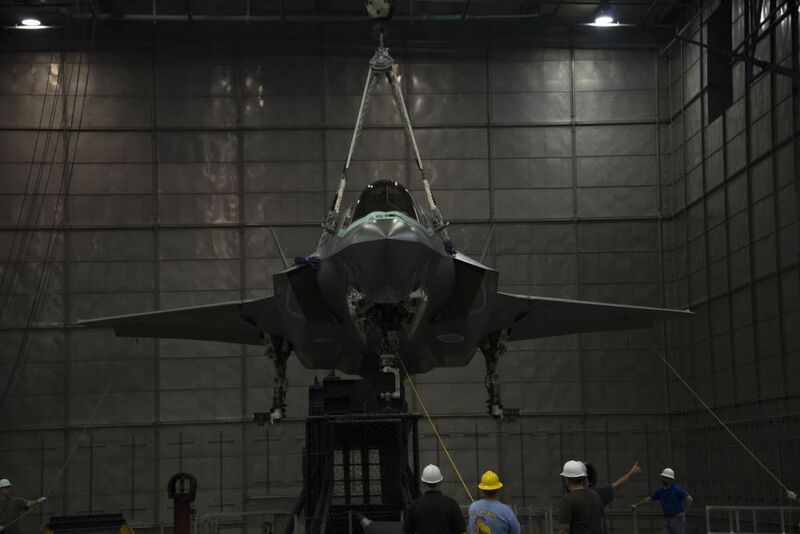 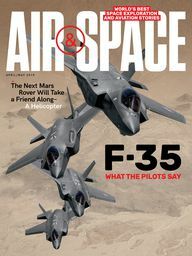 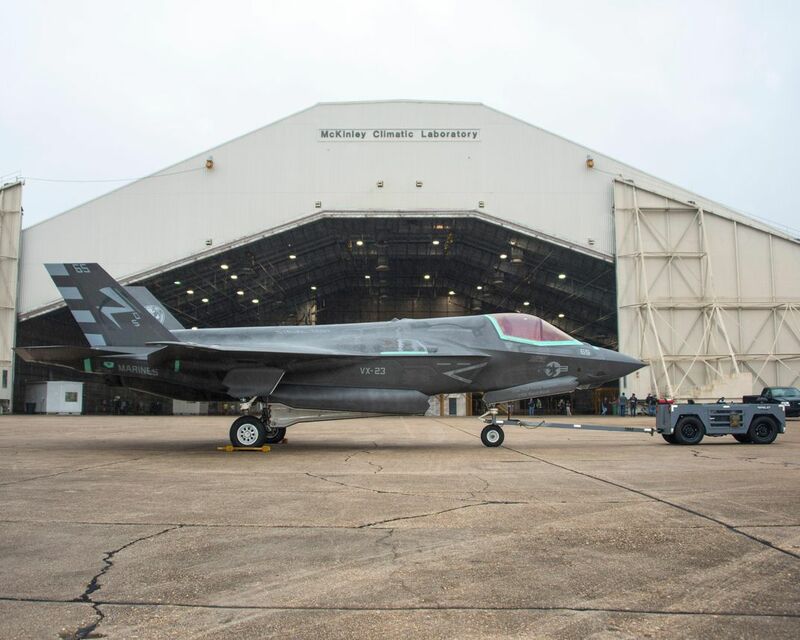 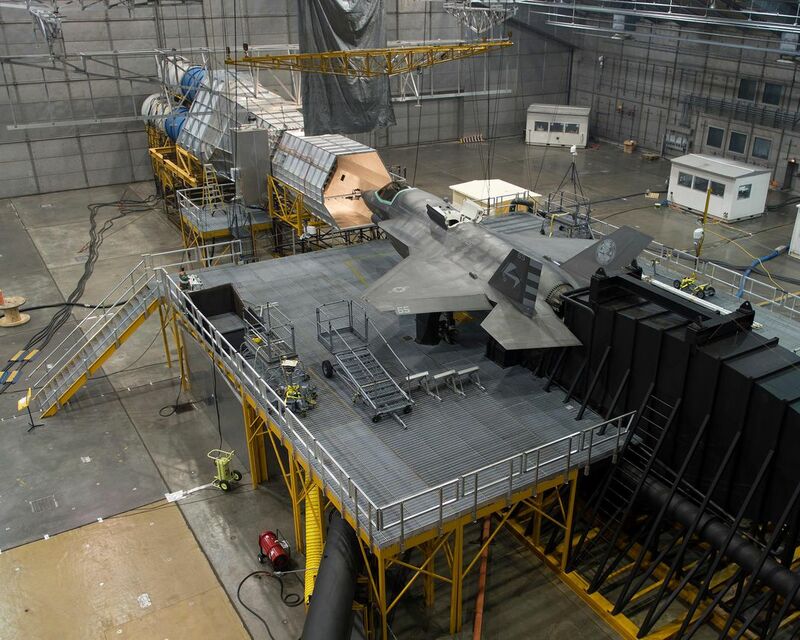 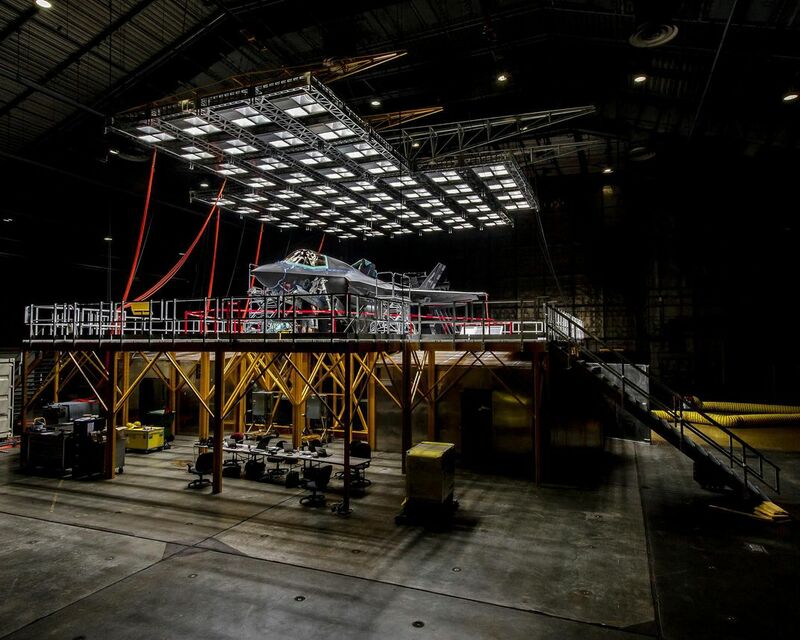 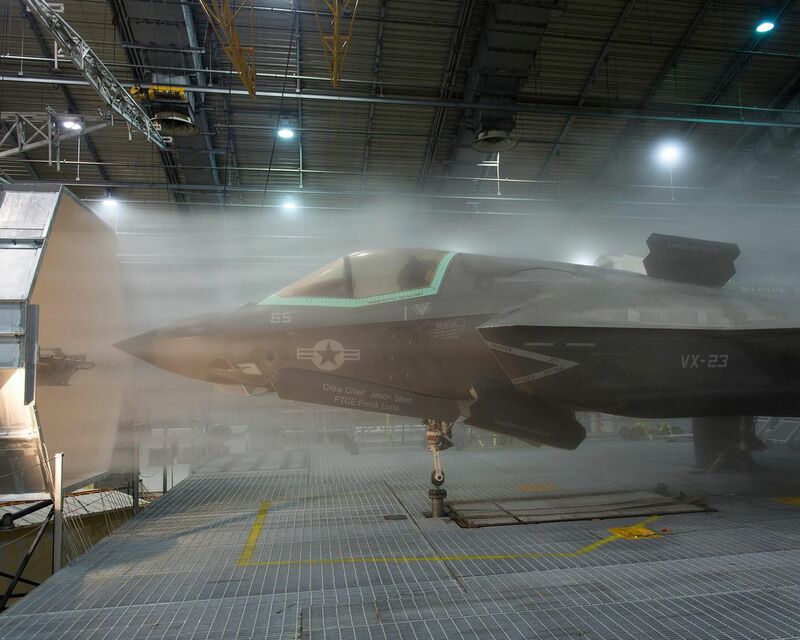 The F-35 Lightning II above is getting blasted at the U.S. Air Force 96th Test Wing’s McKinley Climatic Laboratory located at Eglin Air Force Base, Florida. 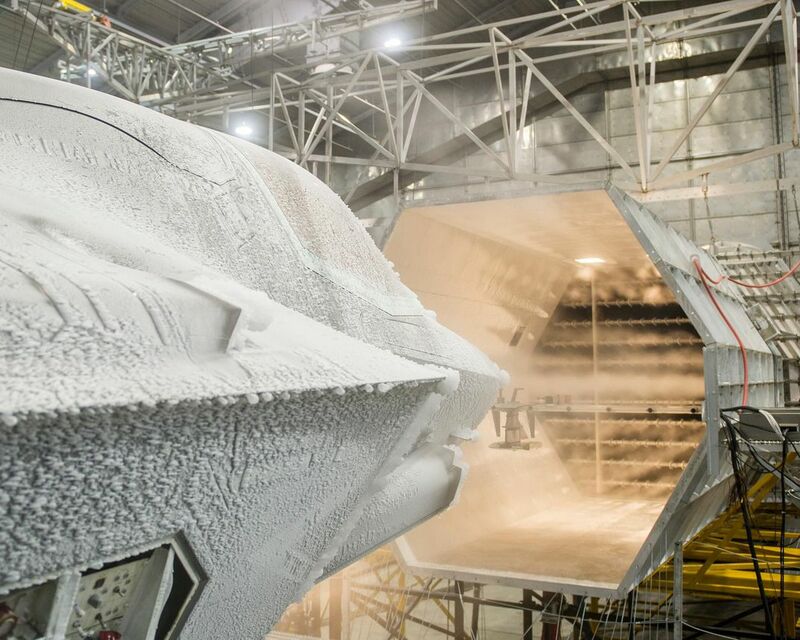 For four months the aircraft has been subjected to conditions ranging from searing heat to temperatures as low as minus 40 degrees Fahrenheit to make sure its systems continue to function in any kind of extreme weather it might encounter on a mission. 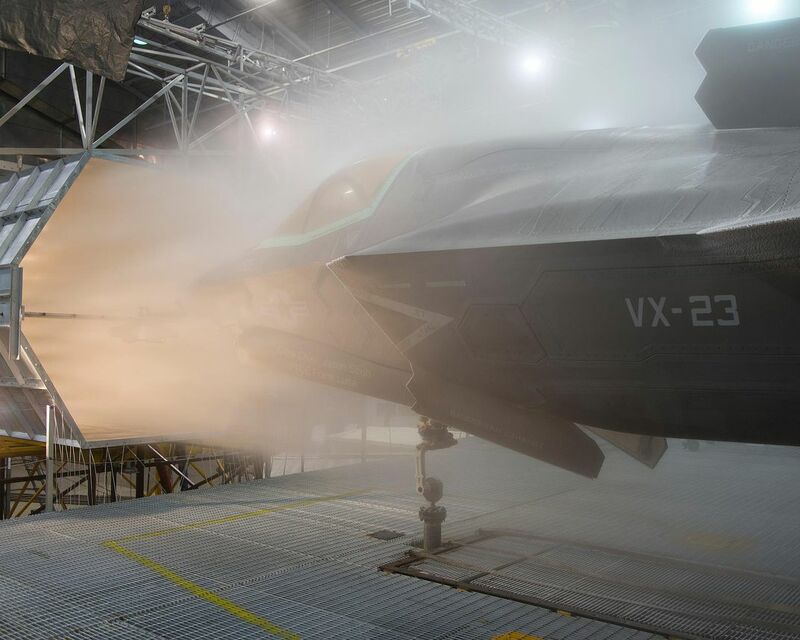 See more photos in the gallery above, and read about the climate testing at Lockheed Martin’s website.